"This fall, I bought a share in a CSA ["community-supported agriculture," a kind of farm co-op]. Every week, I get a box of whatever produce the local farmer is currently harvesting. Here's the problem: It's nice to get fresh vegetables, but I often don't know what to do with the full haul—and end up throwing a good chunk of it in the trash. If I can't eat my share, is a CSA still an environmentally sound choice?" When I saw this letter at Green Lantern, Slate's environmental Q & A column yesterday, I felt more than a twinge of guilt. For a couple summers I had a CSA share through my friend Vera Videnovich's family farm, and too often I wound up with formerly fresh produce sitting forlornly at the bottom of my fridge, unused. Jacob Leibenluft's informative reply left me feeling even worse: why, with little time to cook, hadn't I just passed that pint of okra on to friends? It's not just me--and it's not just CSAs--that are to blame in this regard. As Leibenluft notes, a government study has estimated that Americans waste about 27 percent of food available for consumption. What makes this even worse is how much energy food production takes up--it represents 19 percent of the nation's fossil fuel consumption, more than any other sector of the economy after cars. That statistic's courtesy of Michael Pollan's sobering open letter to the president-elect in the New York Times mag's food issue Sunday. As he points out, though neither candidate has been campaigning on the issue of food, it's inextricably tied to some of the most pressing problems facing us: national security, the health care crisis, energy dependence, pollution, climate change, and now economic hard times the likes of which we haven't seen since you-know-when. The Reader will be updating our CSA list in our food issue, out November 13, focusing on subscriptions available year-round. If I buy in again, I'll be sure to follow the lead of a more resourceful CSAer. 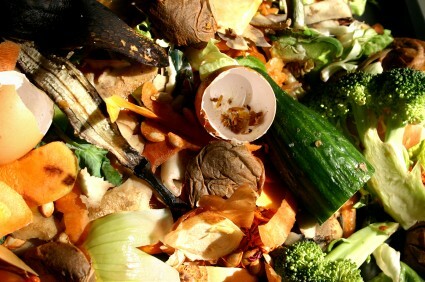 In the meantime, another good resource is Jonathan Bloom's blog, Wasted Food.